The search engine wars have now crossed a new level with Apple announcing at the WWDC 2013 that Bing not Google will be the default search engine that will power Siri on iOS 7. So it is now confirmed that besides a new look and new visuals the Siri will get a new search master too. Up until now Siri used Google to bring out answers to your questions. 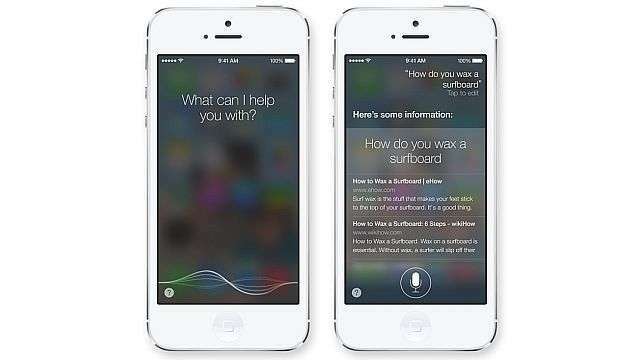 But coming fall with the roll out of iOS 7, Siri will use Bing as search engine to answer your queries. This is actually a confirmation from the Apple top management that it no longer wants to ally with Google. However the cosying up with Microsoft put up another question in users minds. Will PC and Mac converge in near future? Well that seems like a distinct possibility now but not in immediate future.